At high water that day there was 24 feet 8 inches on the bar, and when the pilots walked across at low tide, there was only 2 feet. The Tyne in those days wasn’t fitted to be the highest way of commerce, which its position in a great coal-field demanded. Even at Newcastle , starting at was then its navigable reach, it twisted and turned until its final charge past the Narrows at Shields, into the sea beyond. It was navigable, and only with the greatest difficulty, for a few miles from the sea, and it was common enough for a vessel to lie a month, waiting for sufficient water to get past the Middle Ground and Dartwick Sands. The dangers of navigation were clearly portrayed by the evidence of Henry Oates, a pilot, during an Admiralty Inquiry in 1849 into the merits of the Tyne Conservancy Bill; He said that the screw steamer Conside on her voyage from Newcastle to the sea, drawing about 9 feet of water, first grounded at the lower part of Newcastle Quay and lay there for half an hour. She then stuck fast on the River Tyne Main Shoal at one and a quarter miles below the bridge, got clear across Hebburn Shoal by giving her full speed over the ground, but in doing so sunk a small craft and went against a lighter and sunk her also, then she went to sea. The pilot ended by saying that she was considered an unlucky vessel. The harbour and entrance at Shields also presented a different picture to the port of today. The force of the waves seething over the Black Midden Rocks on the north side and the Herd Sands on the south was not broken up by the sheltering arms of the piers, and the act of crossing the bar in a north easterly gale required a feat of seamanship, compared to which entry into the port today, is but childs play. The chaos wrought by a storm in 1854 is described in Fordyces Local Records; On the 3 rd the wind changed suddenly from North West to South East and the temperature rose considerably. The change of wind however had a disastrous effect on the shipping near the coast, about 1500 vessels had left Yarmouth Roads for the North, and attempts to reach their destinations became extremely hazardous, owing to the violence of the storm. On the 4 th the fleet was off Tynemouth and although some hundreds entered the harbour safely, a great number of others got stuck on the Herd Sands and opposite rocks. The scene was described as one of the most exciting character. The tempestuous sea dashed its foaming billows over the venerable ruins at Tynemouth; the noise of the vessels braking up, crash after crash, mixed with the distant screams of the sea fowl in the Narrows. Indeed, the River Tyne was a notoriously dangerous place to be in a storm, and many mariners considered themselves fortunate to run their vessels onto the sands, rather than risk the bar. Even at a much later date, after the construction of the piers, the River Tyne was still considered a dangerous harbour. Owing to the great strength of the tide on the ebb, meeting gale force winds from the east, made the seas so short and steep that there was no control over ships; many were carried onto the Black Midden Rocks inside the breakwater, and others were knocked right under. 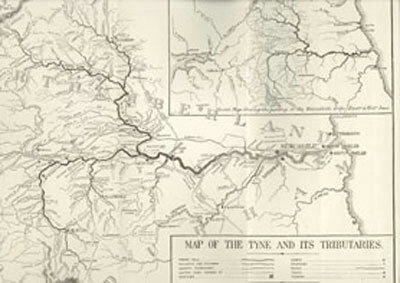 This then was the world of the Tyne Pilot; the coast, the bar, the harbour with its black rocks, the tides, the shoals, the river with its sandbanks, inlets and outlets.